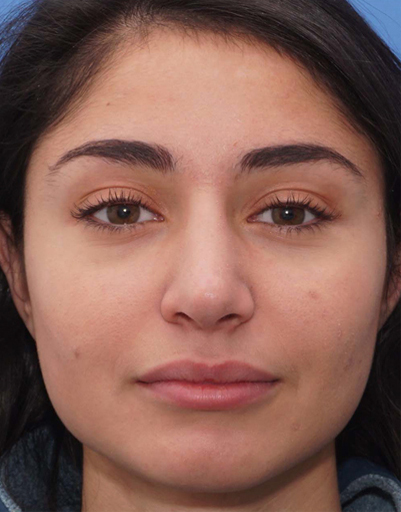 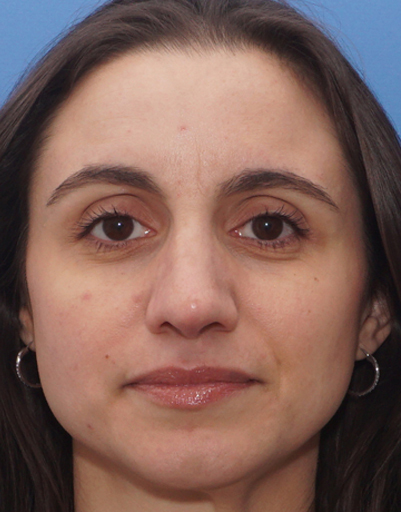 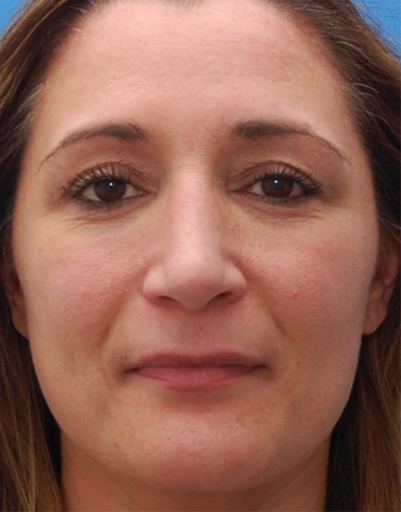 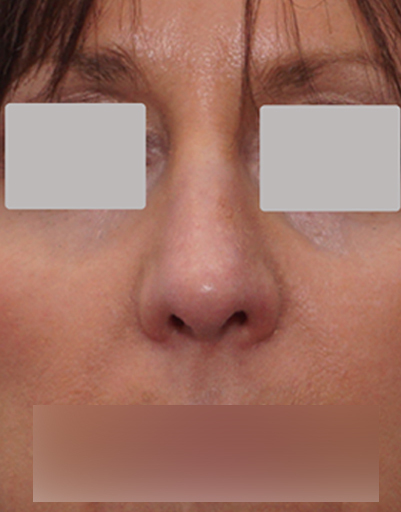 Please use this description: Mrs. E. had previous nasal trauma resulting in a fractured septum and nasal bone irregularities. 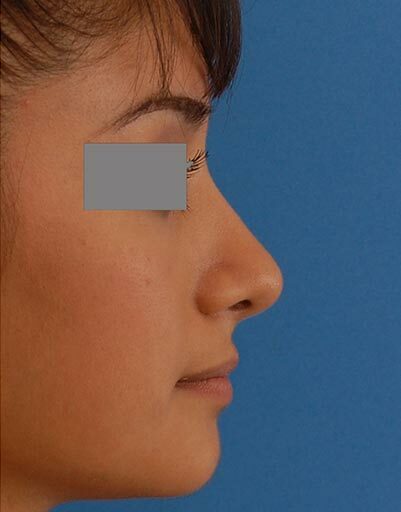 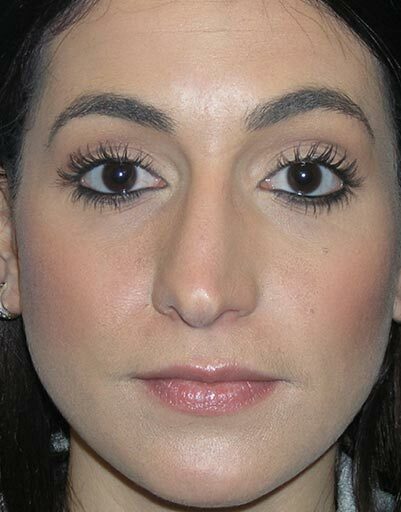 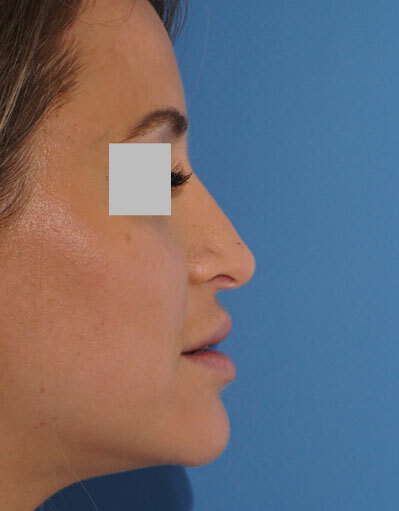 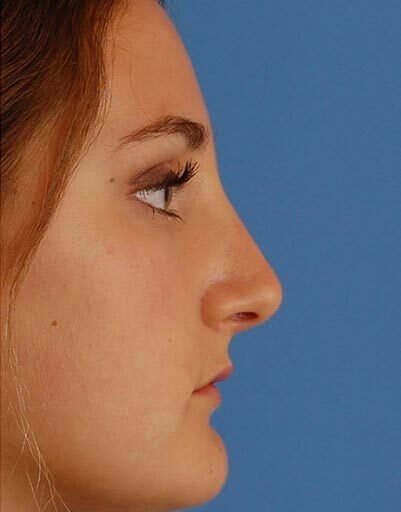 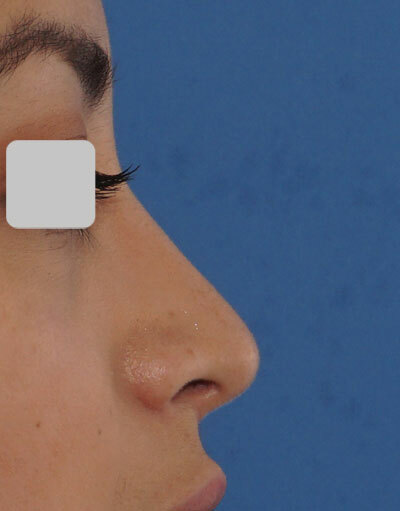 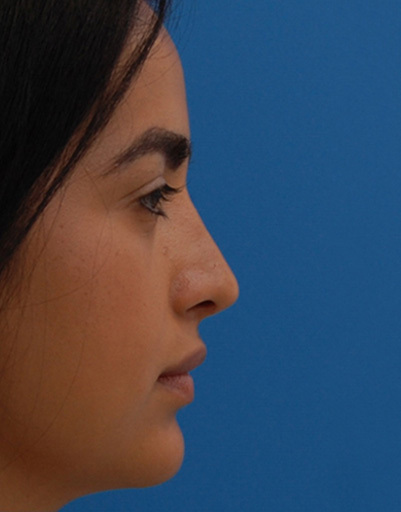 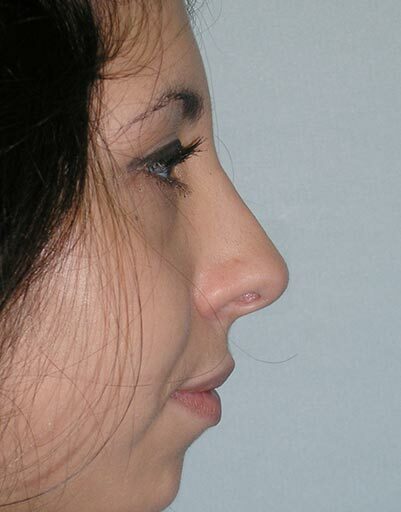 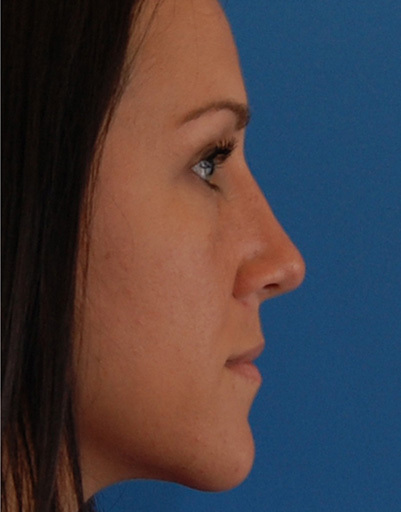 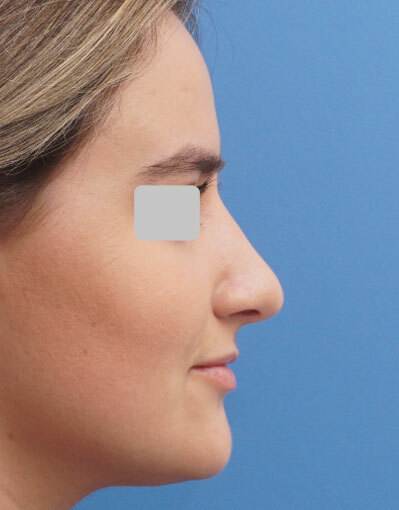 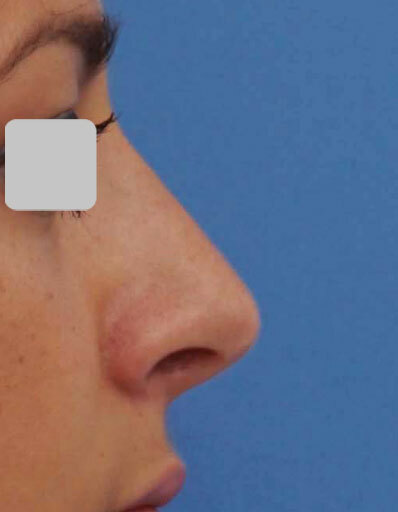 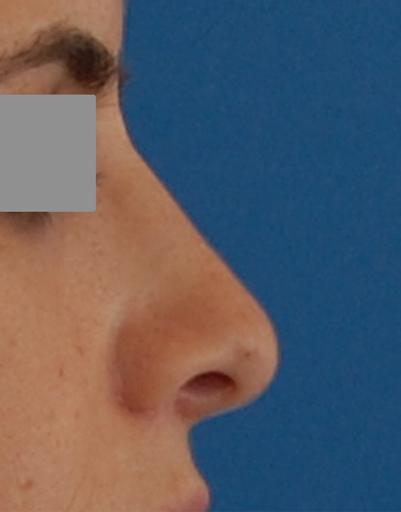 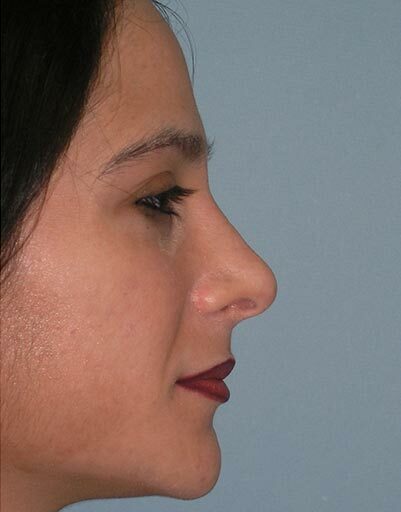 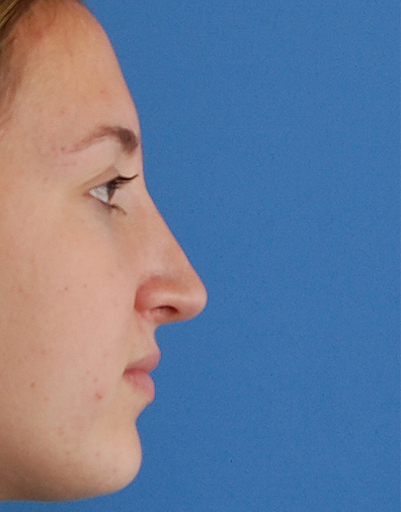 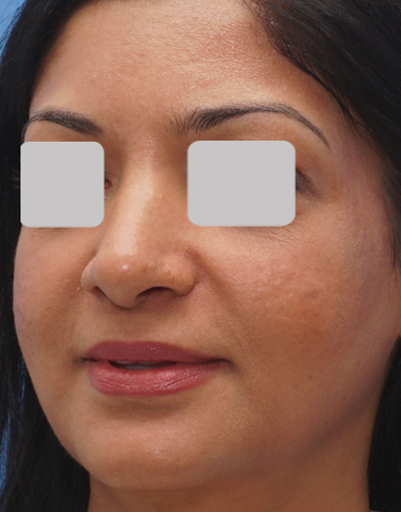 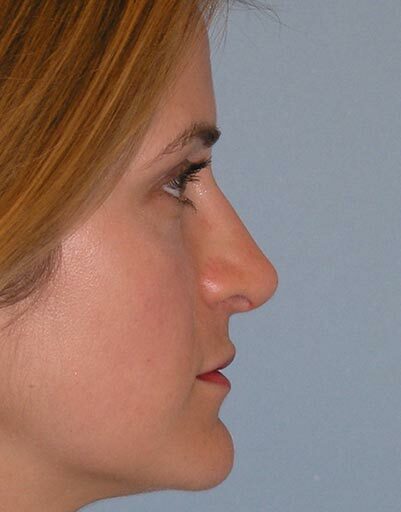 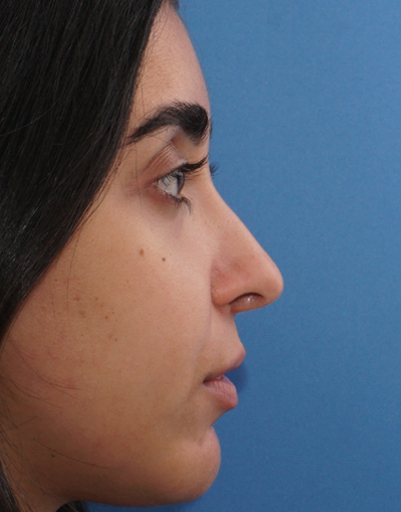 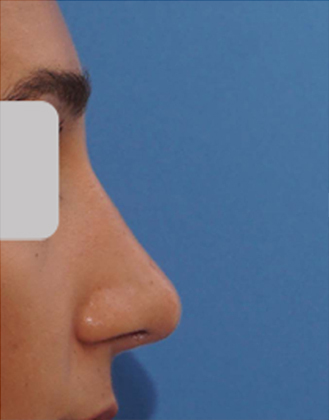 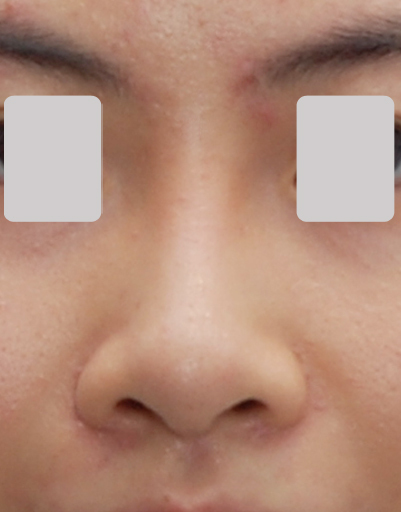 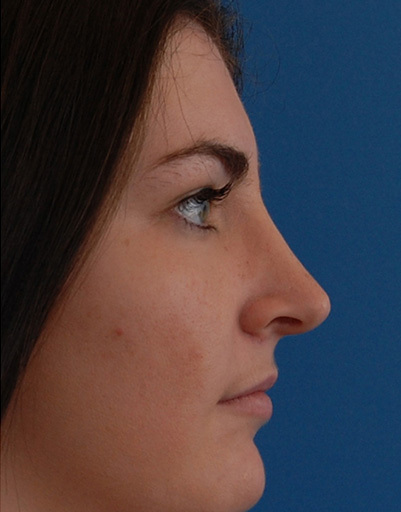 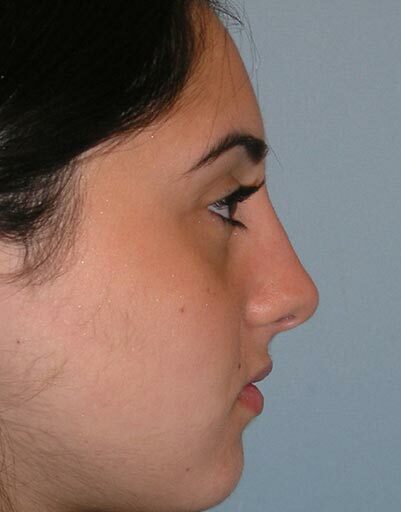 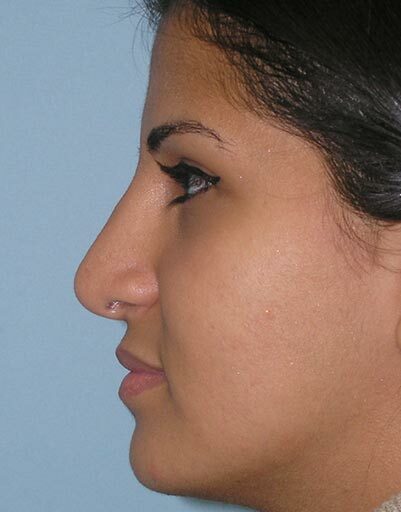 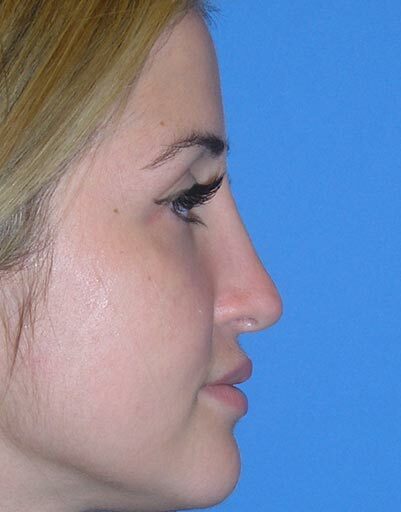 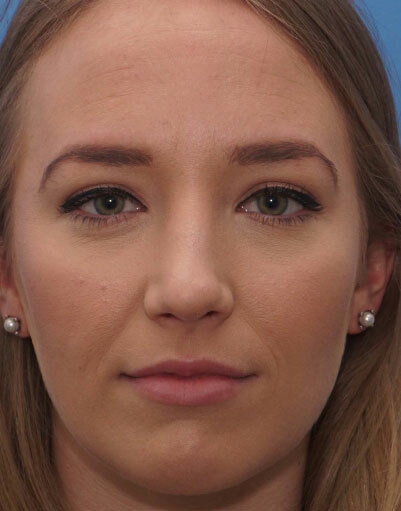 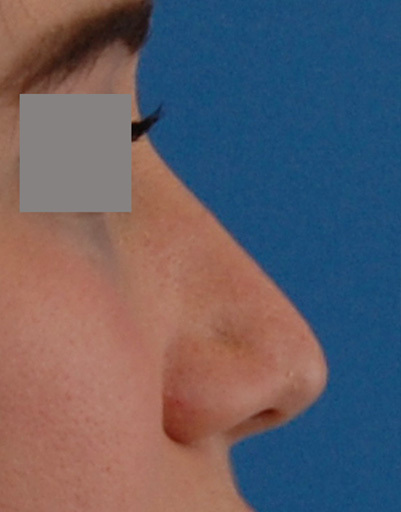 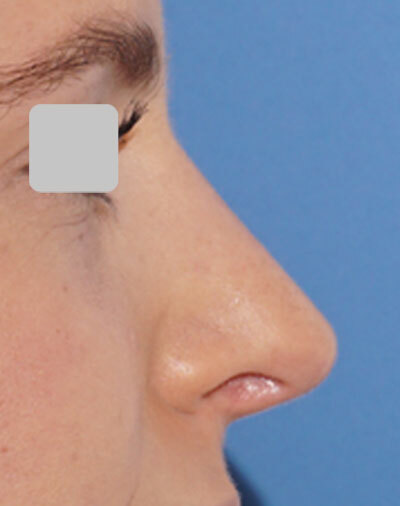 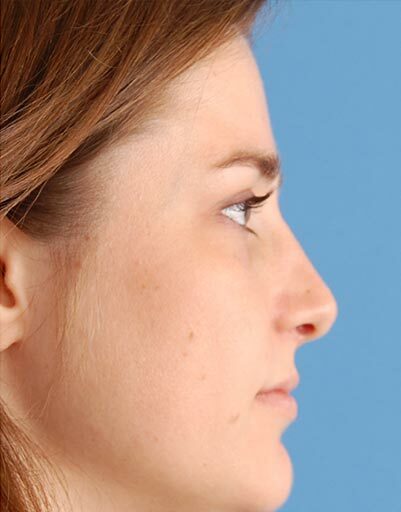 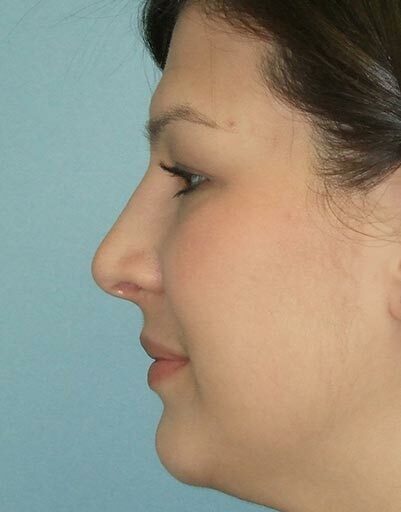 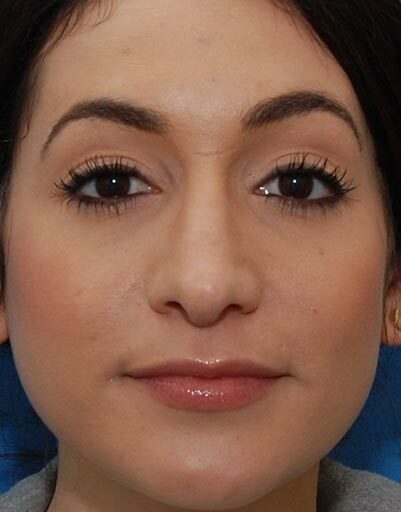 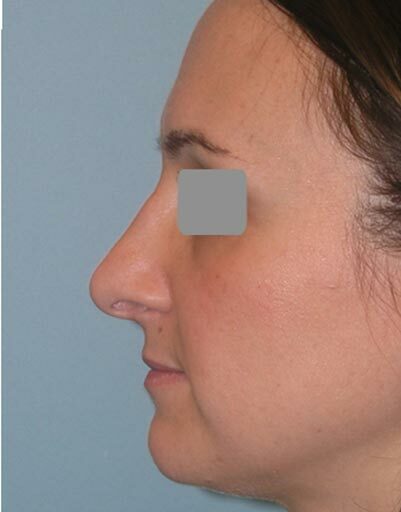 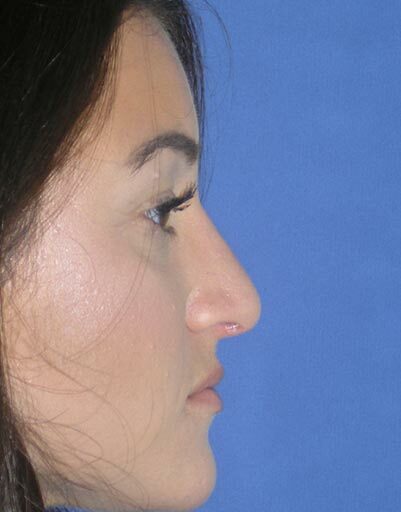 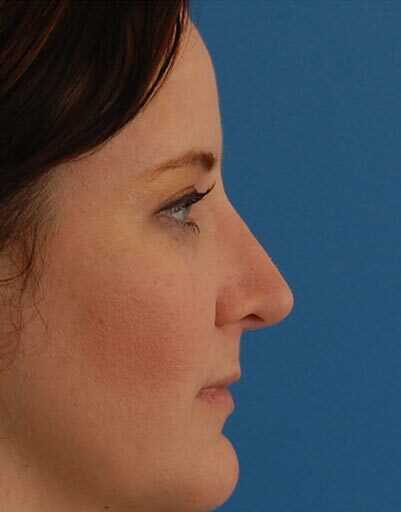 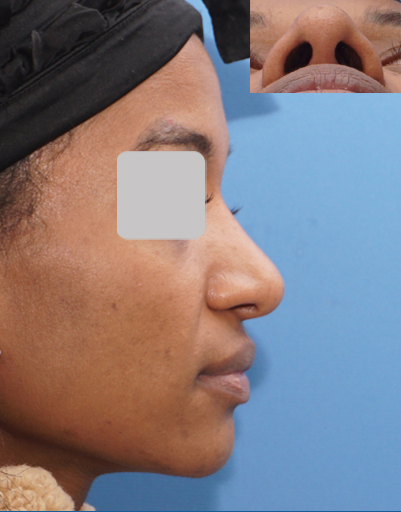 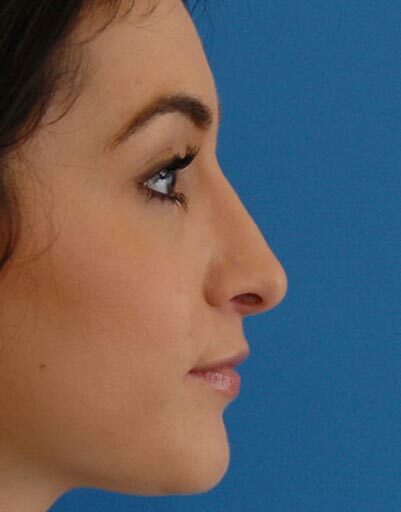 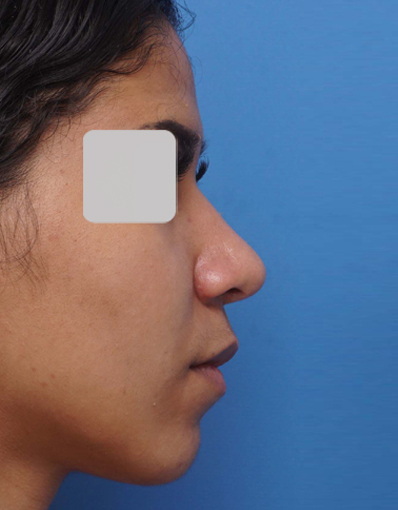 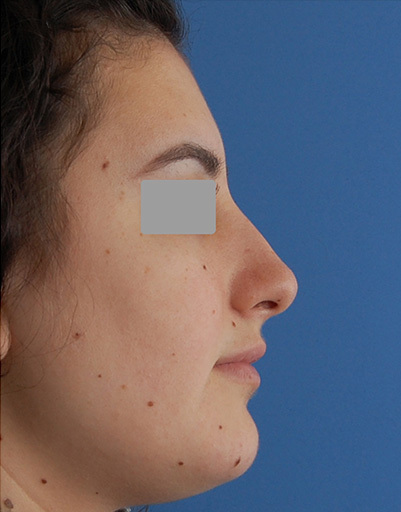 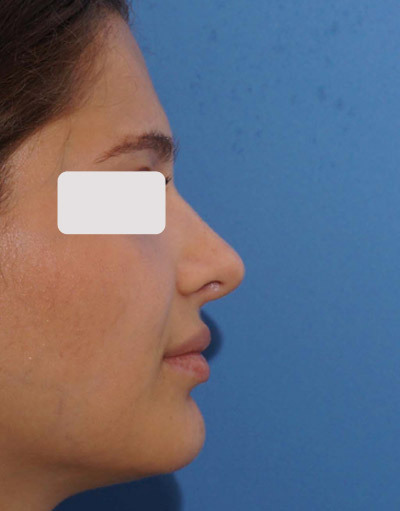 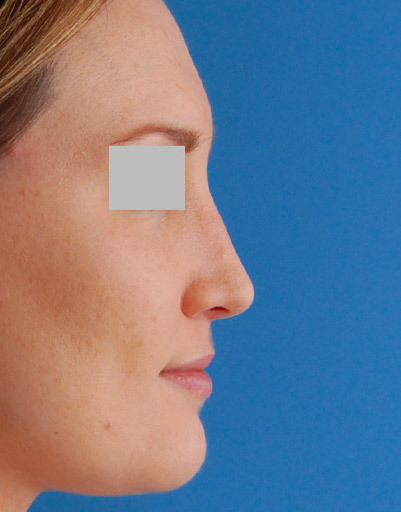 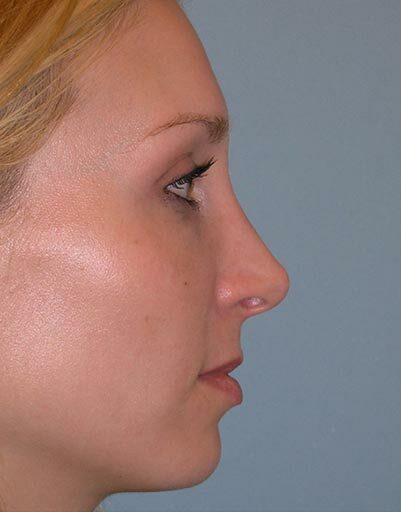 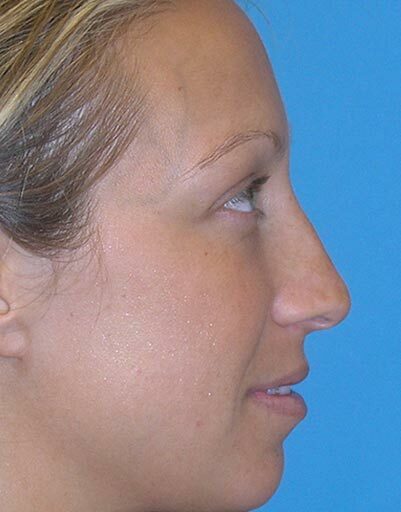 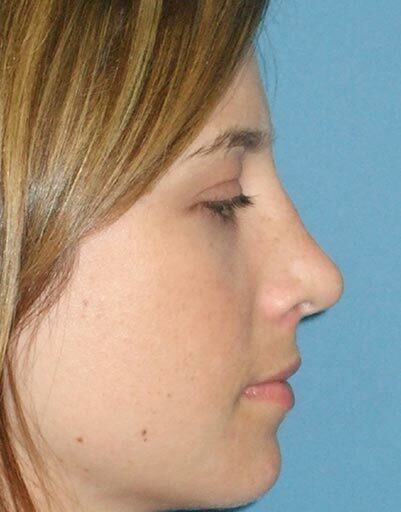 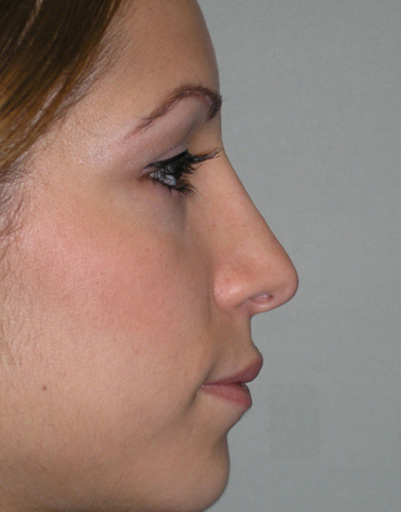 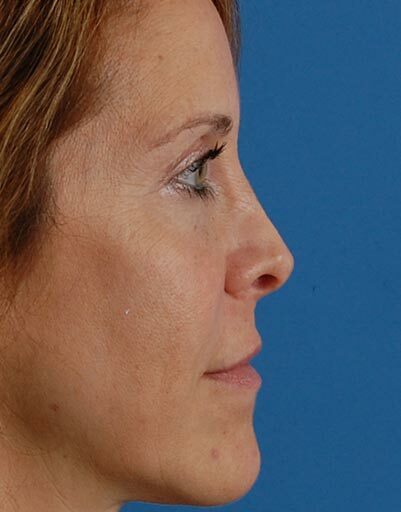 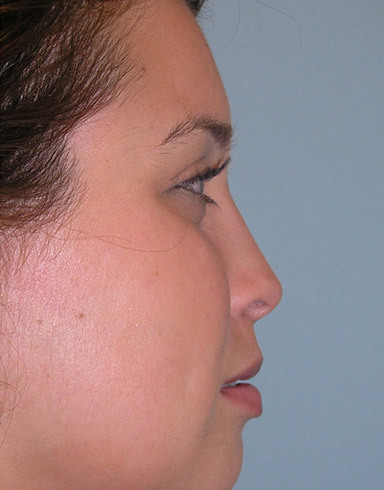 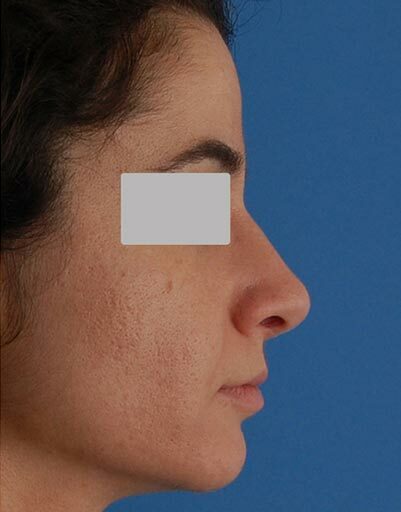 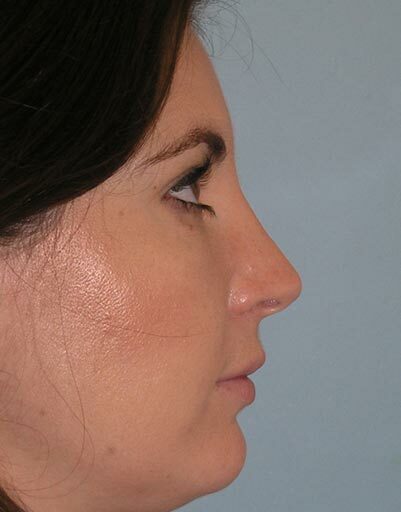 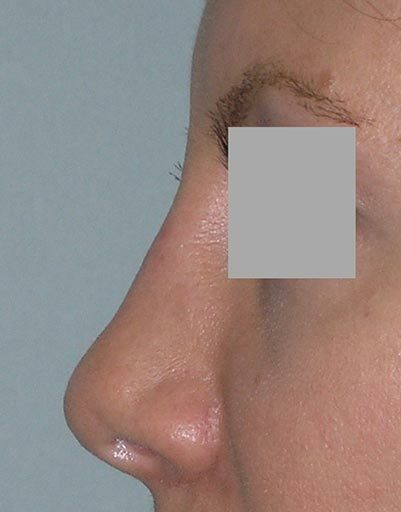 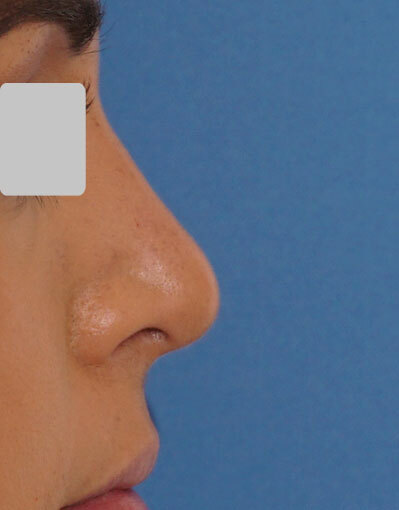 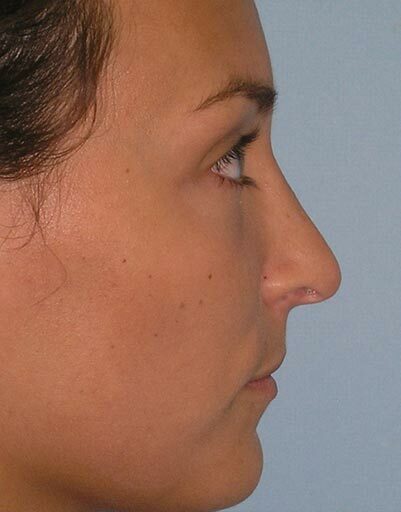 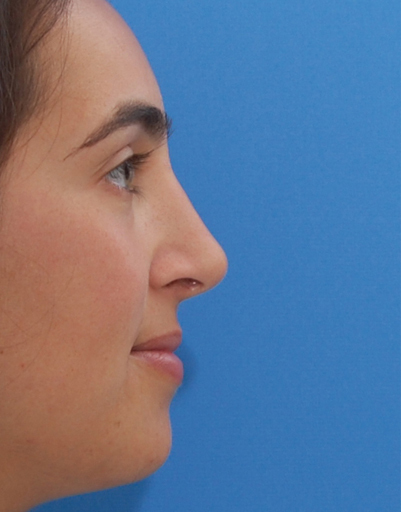 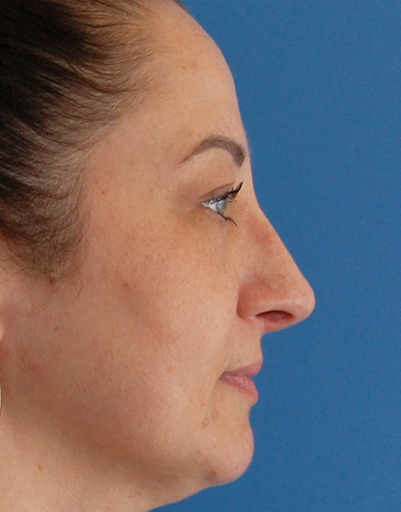 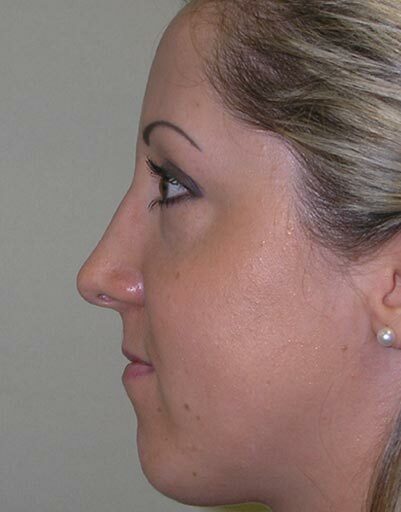 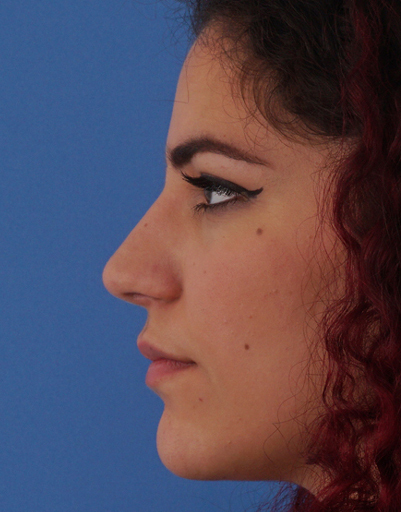 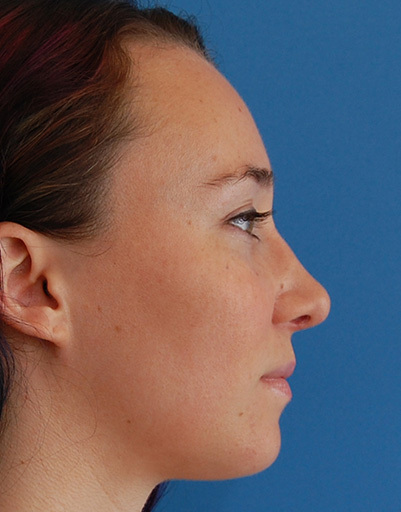 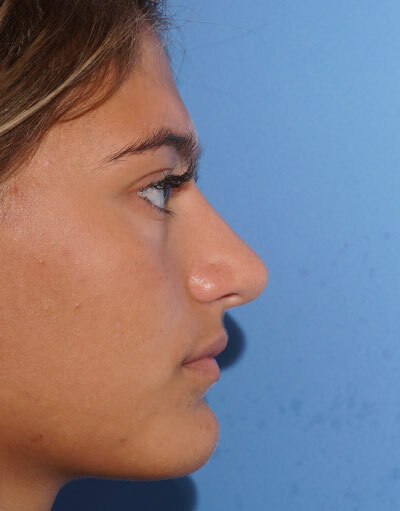 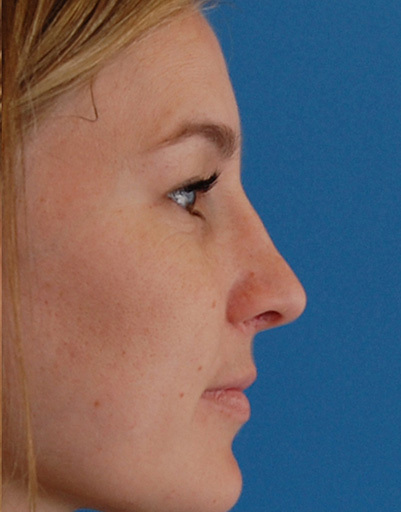 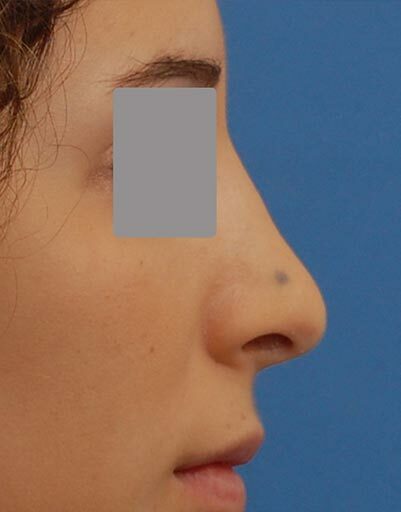 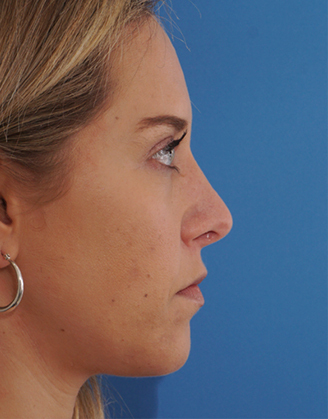 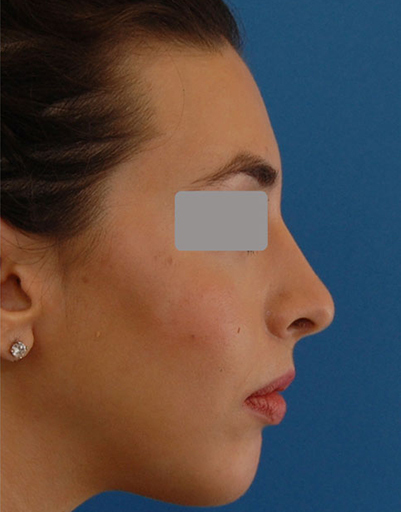 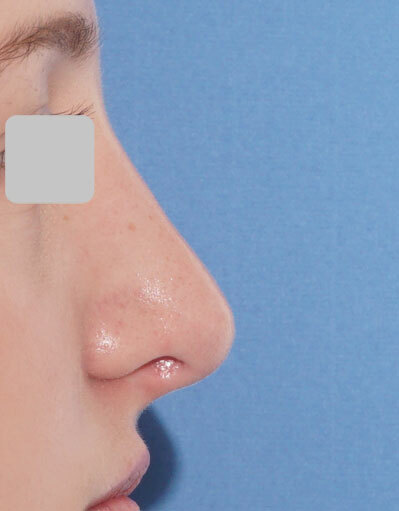 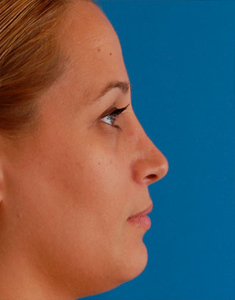 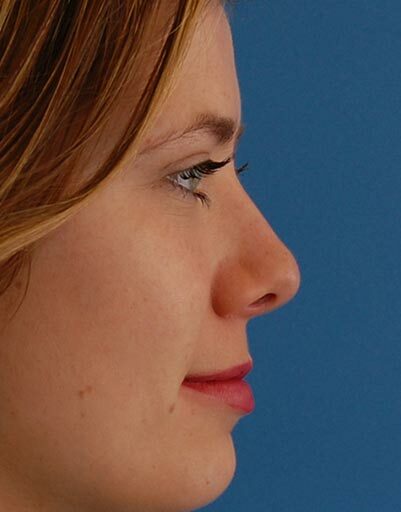 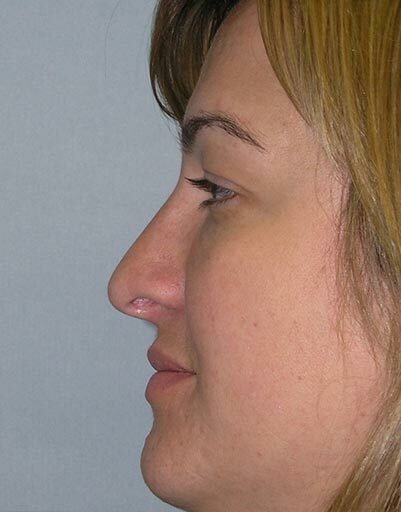 A septoplasty with a profile and tip Rhinoplasty were performed. 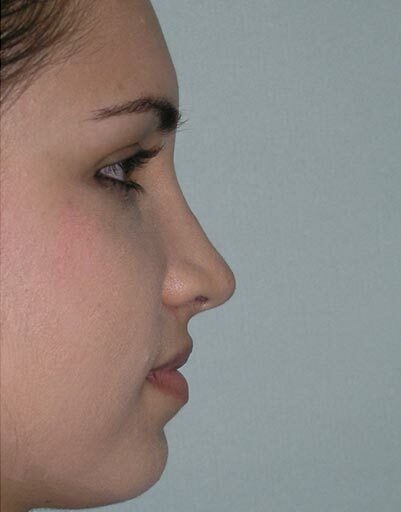 Tip refinement was achieved using suture technique with a columellar strut for stability. 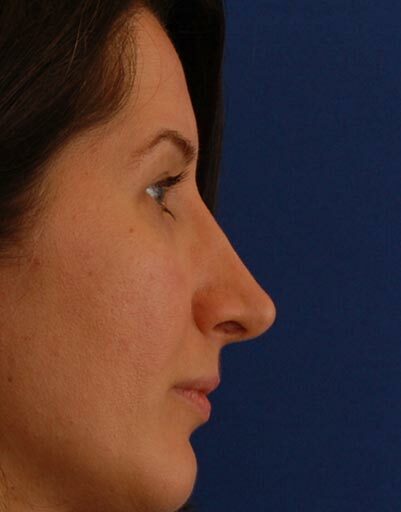 At the same time deprojection without rotation was achieved. 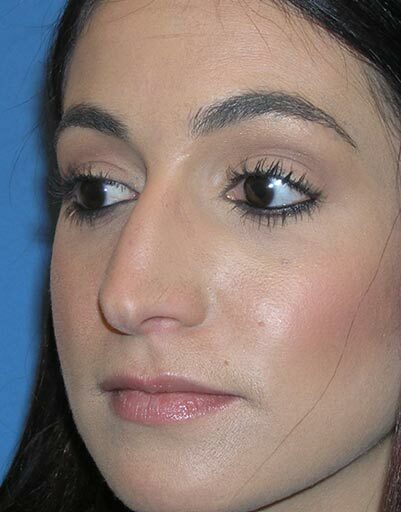 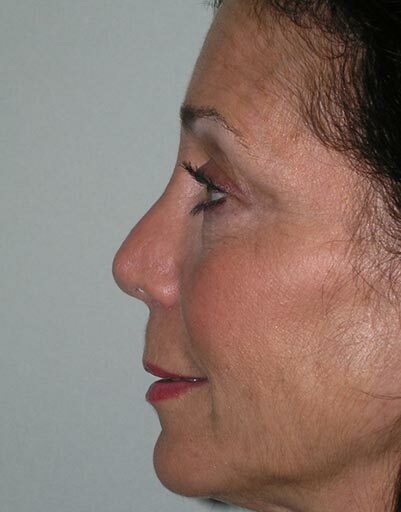 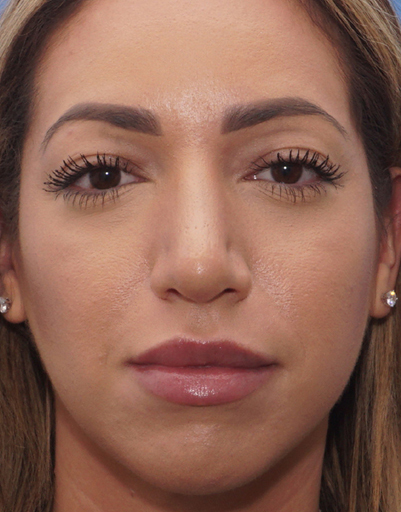 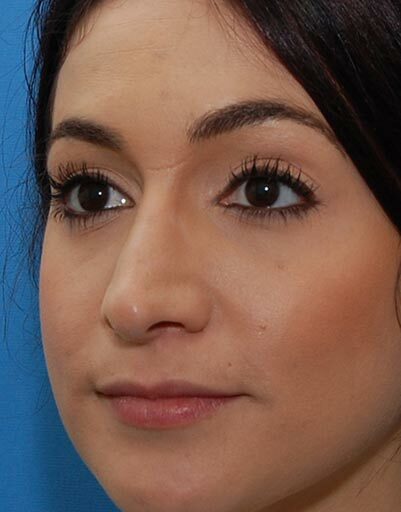 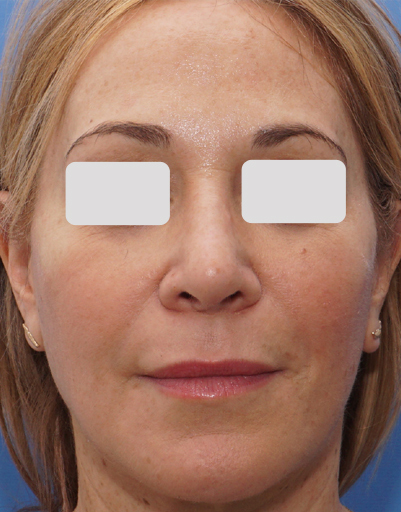 A right batten graft was placed for right nostril support and temporalis fascia was used to help smooth the profile, given her thin skin in the area of the bridge. 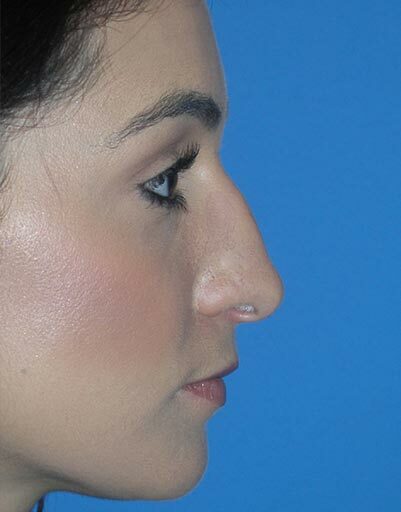 The result is a stunning nose which works just as great.